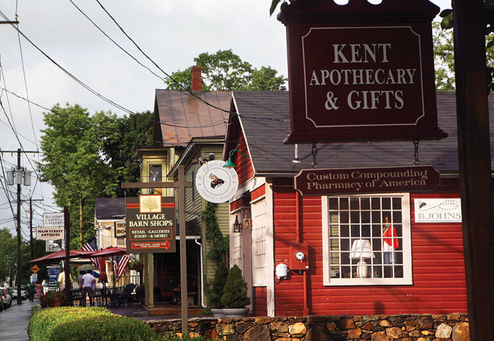 The small town of Kent was the destination. A town full of homes, I am pretty sure all gingerbread houses were modeled from. Thanks to all the Presidents of the United States of America, a 3-day long weekend was approaching fast and nothing was planned. So we all piled into our Jeep Compass ready for some four-wheel driving and made tracks for Connecticut. Our very own Griswold family! We had me, the authoritive driver, Jess, the one who gets car sick, Dave the anxious back seat driver, Amy, the back seat map reader and David, the DJ. All the elements of a perfect road trip. Picking up our car for the weekend from Harlem was a blessing in disguise. If you have ever been to New York City you will know that driving here is like organized mess, a disaster to watch but fascinating how it works. The open roads are more my thing. Wind in the hair, sun shining. Except it happened to be the coldest day in 22 years so that wind was the heating coming through the vents and snow was falling on the windscreen. After the small hiccup of driving over the George Washington Bridge to Jersey, we were on our way heading North towards Route 7. I could smell the country air already, as I continually made sure I was still driving on the right side. With stops along the way, we didn’t actually make it to the log cabin until dark, The Cheesecake Factory (yes I know, could we get more touristy) and snow tubing were calling our name. Looking back eating lunch followed by cheesecake wasn’t the best idea before hurling ourselves down a snow hill on a tube on our stomachs. You have to remember as Australians seeing this amount of snow (and food) is somewhat of a novelty. We stopped at Woodbury Ski area, a ski field with its own tubing park, which seems pointless to me since the whole town looks like a tube would travel well anywhere. I actually felt quite at home tubing. Just replace the snow with sand and that’s how we do it Aussie style – Sand duning. Of course sitting by the crackling fireplace with all the ingredients of a good s’more was necessary, if not only just for a picture worthy for Instagram. We woke the next morning to see a playground of snow and of course we played in it. You know those YouTube videos of dogs seeing snow for the first time, that was me. The drive down Kent road was hard for the pure reason that I needed to stop and take a photo every inch of the way. As I think about it, the way we were appreciating the nature such as the icicles that so artistically hung from the houses and piles of snow covering every inch of the ground, it was very special. While I love living in New York City, getting out-of-town for the weekend and breathing in some fresh country air allowed me to stop and take time to smell the roses. Something none of us really do now that we have settled in to living in the city.